Winter – thankfully – didn’t hit us hard this year in the North Country of NY, but I’m still ready for warm + sunny weather to once again appear. 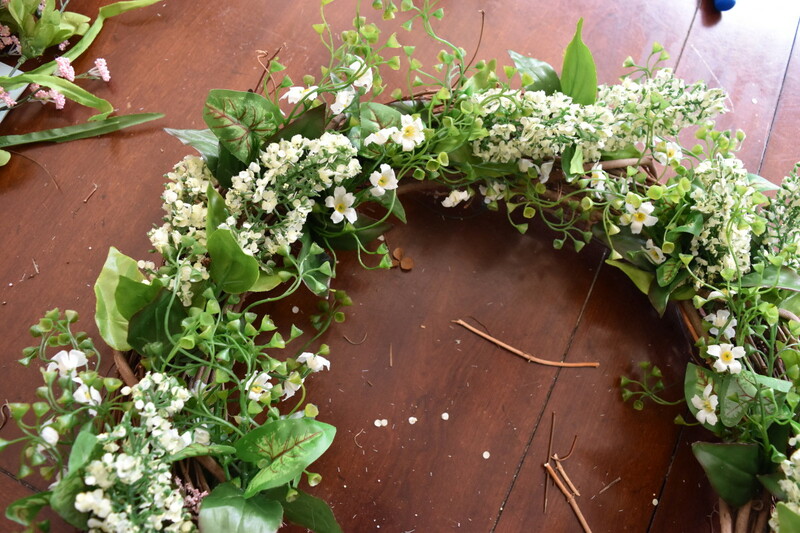 The past weeks have been incredibly busy with little spare time to create + DIY, but last weekend, I squeezed in a few quiet moments to make a new wreath. 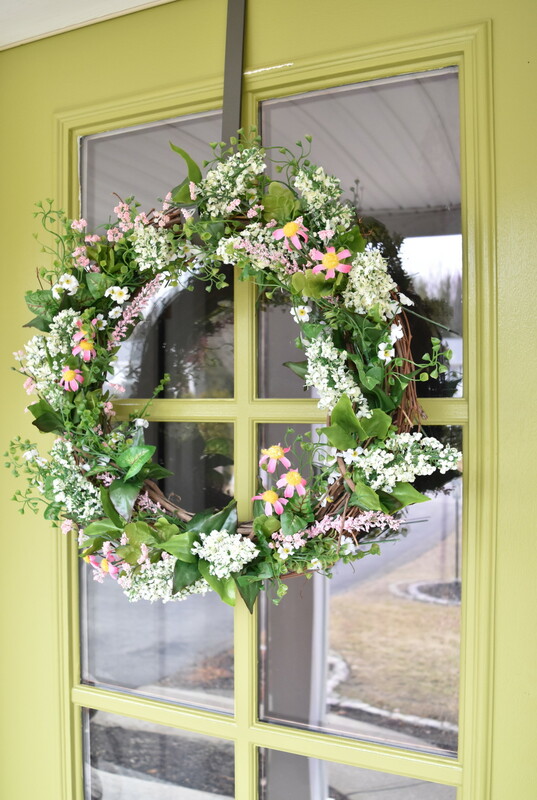 I adore my yellow forsythia wreath – my go to for Spring – but I was wanting something lighter + brighter to give contrast to the apple green painted front door. 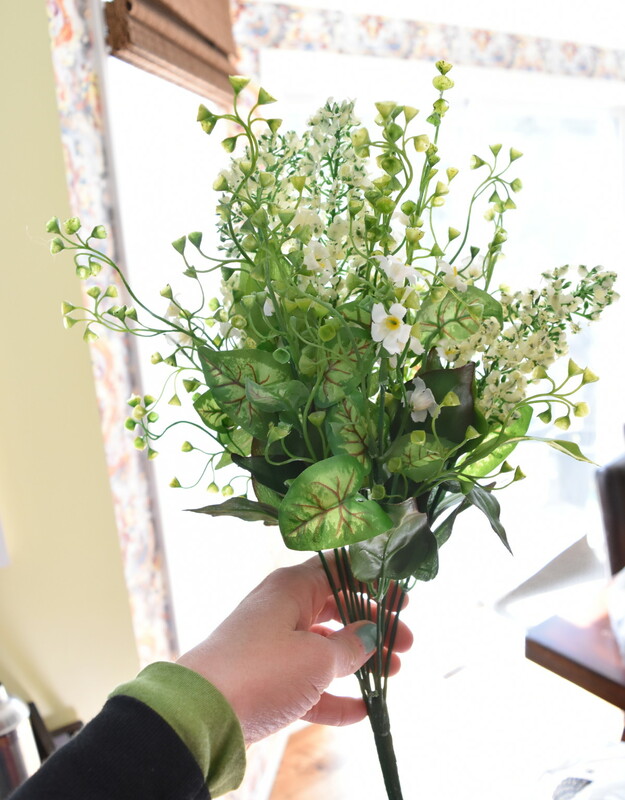 After food shopping last week, I popped into AC Moore and saw so many vibrant + colorful faux flowers for Spring. 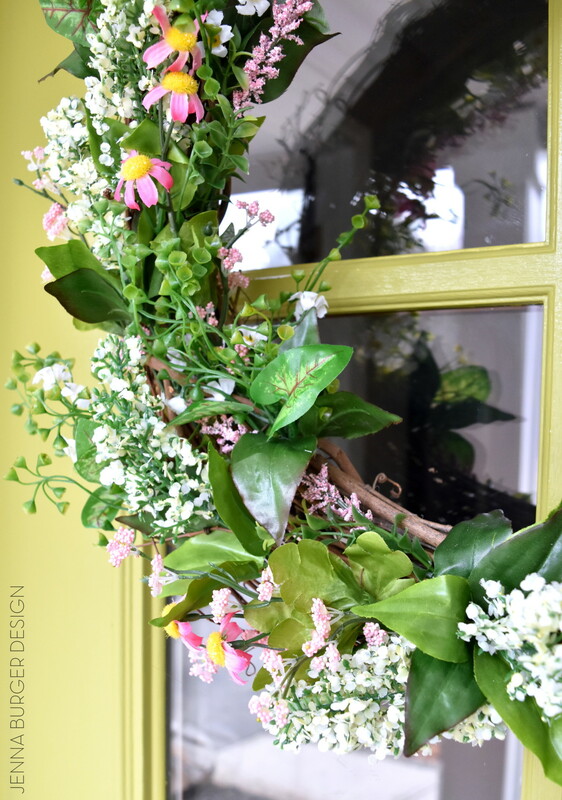 Their whole collection was on sale, so I picked up 3 bunches – about $15 total – in soft colors of white, greens, and a pop of pink. 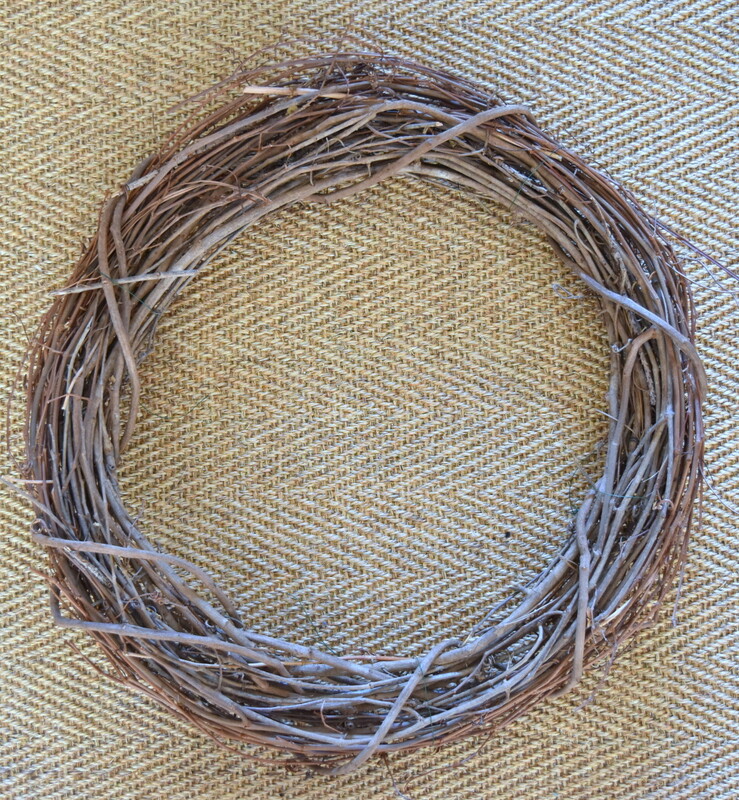 I started off with an 18″ grapevine wreath that I had on hand – but you can find them at most craft stores (even Walmart has them) for around $5. 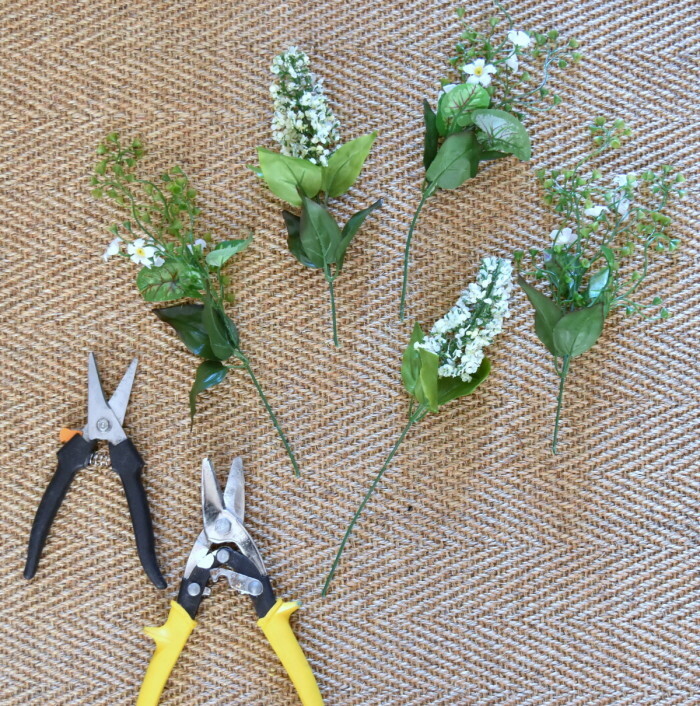 And my 3 bunches of Spring flowers. 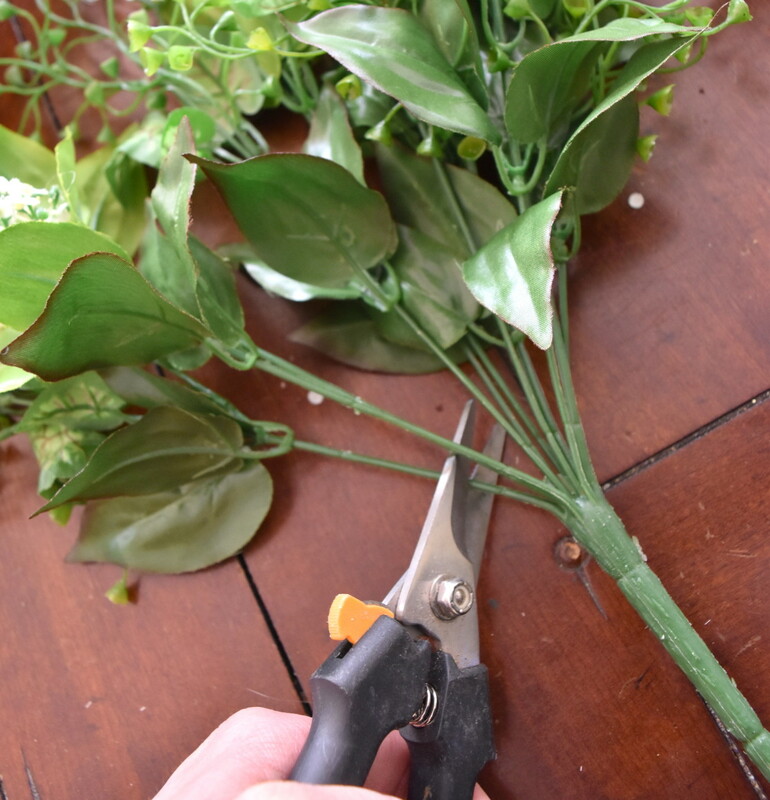 Using snips, I broke apart the flower cluster and was left with individual stems, which gives the flexibility + freedom to place the stems where they look best to give a real-looking result. 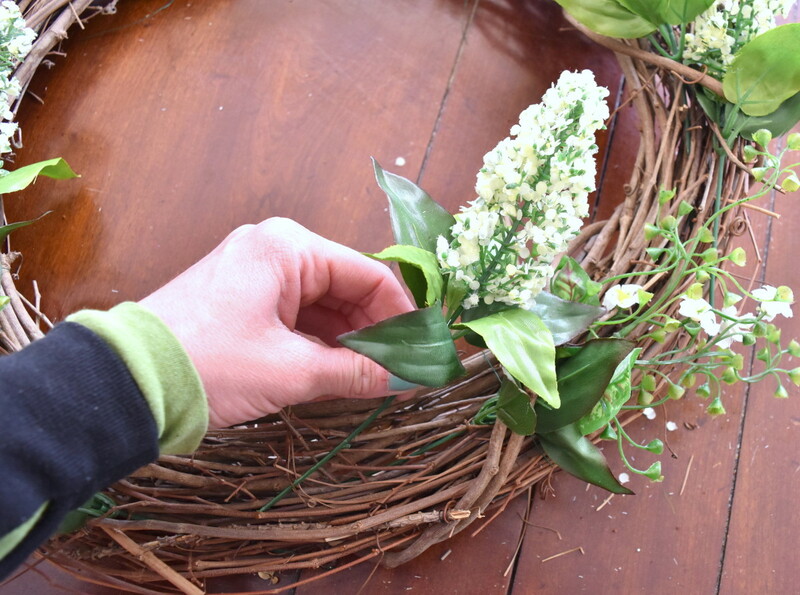 Once all the stems are separated, start weaving them into the wreath. Secure with floral wire if needed. In about 5-8 minutes, I was done and had a new wreath to adorn my door. And here it is… hung and pretty! Well unfortunately I think I jinxed myself. Spring was on it’s way, but over the coming days it’s supposed to feel like winter again. Ugh. Soon. I know it’ll be here soon. 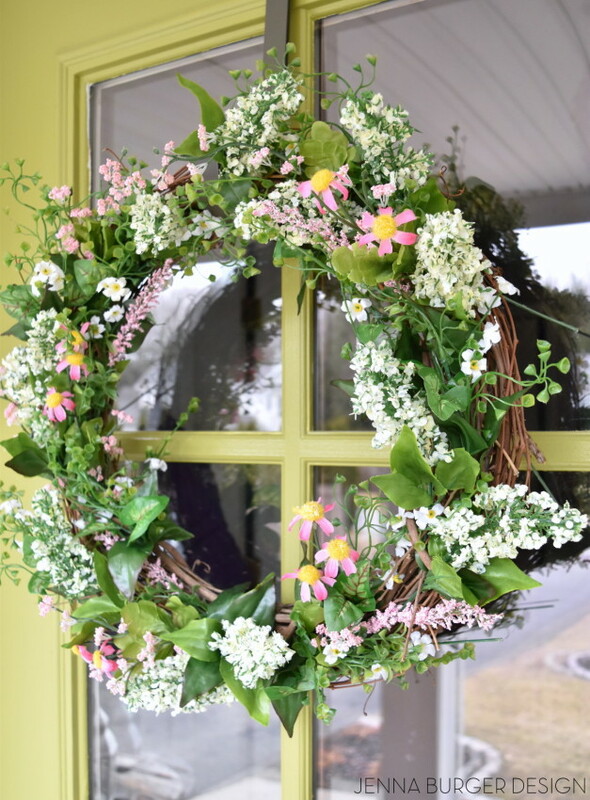 For now, this new wreath will keep me going to send Spring vibes our way. 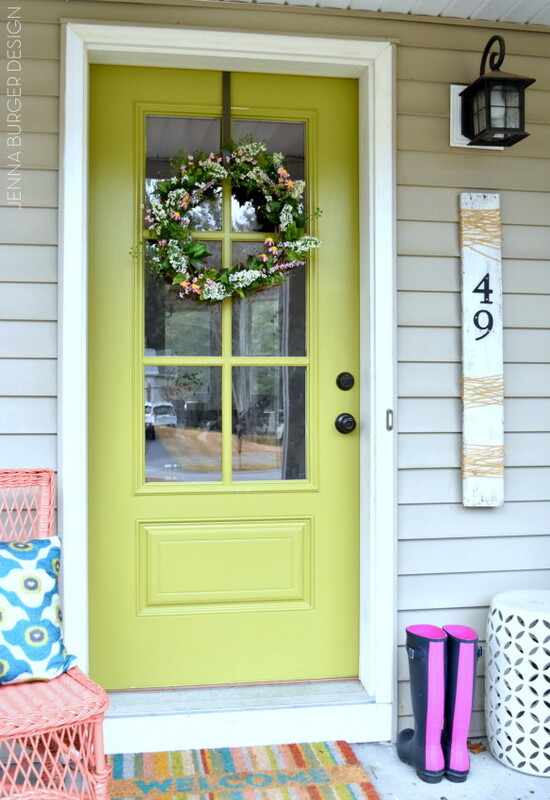 Want to make something similar for your door, here’s a quick recap of how to make it. I swear, it is simple. Anyone can tackle this in a cinch! 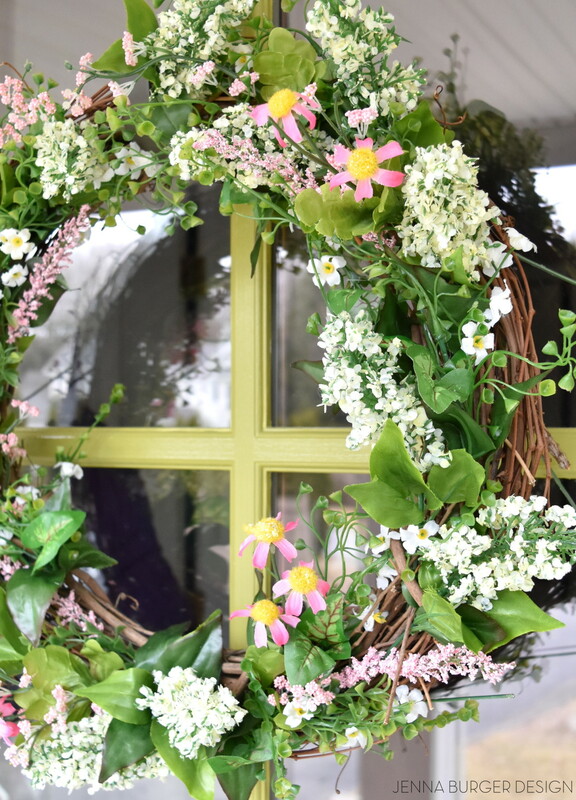 Want to see more wreaths I’ve made? 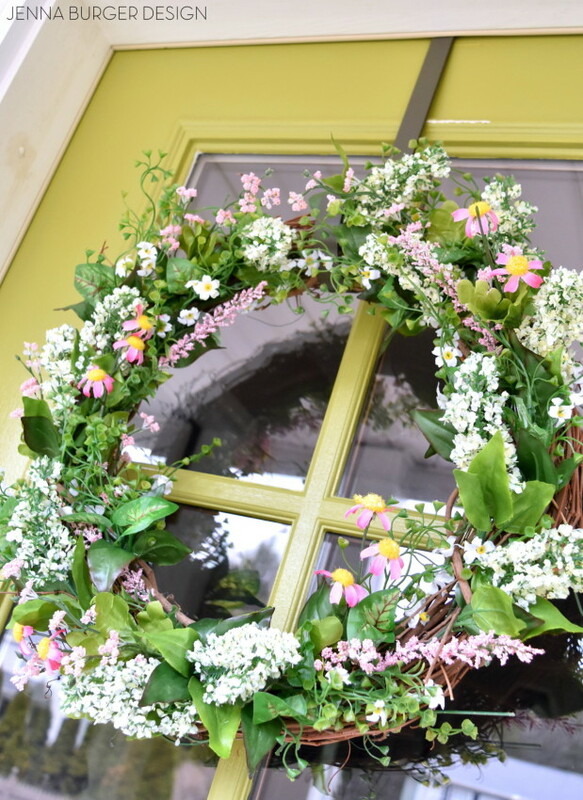 Check out my DIY wreath page with lots of easy-to-follow tutorials.